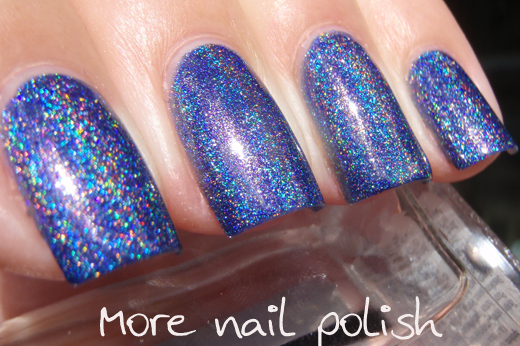 Tonight is the night all of you that have entered my Guess that Polish Giveaway have been waiting for. 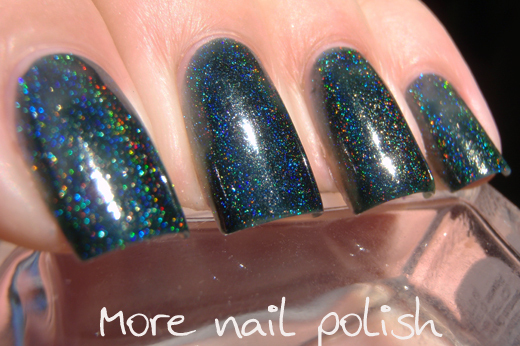 I announce the winners and reveal the polish names. First - the reveal. 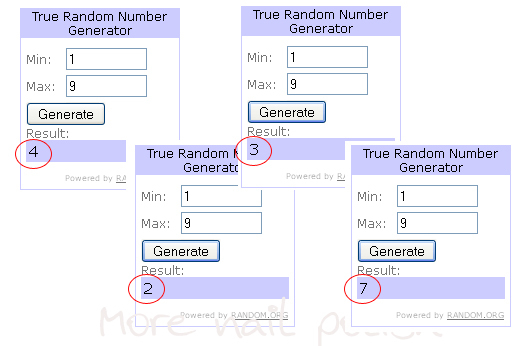 All percentage results are based on entries that got more than 10/40 answers correct and will go into the random draw. I removed some blank entries and mistake half way through entries too. 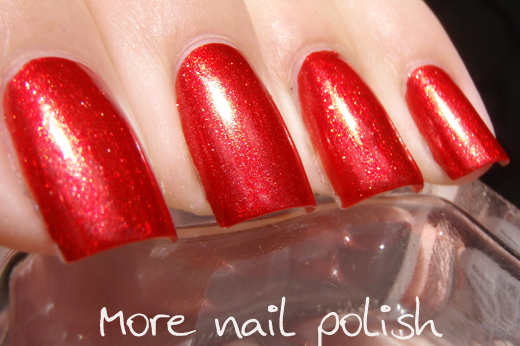 OPI - DS Glamour - 100% correct answers! You all started so well! JOSS - Alternate Dimension - 96% answered correctly. 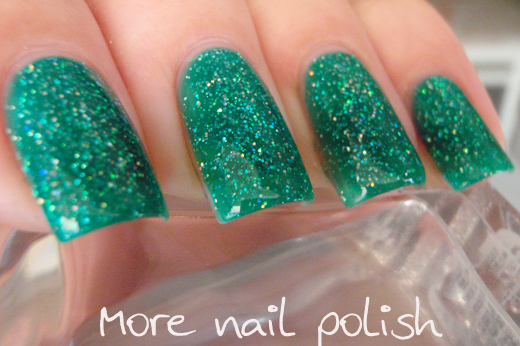 Revlon - Royal - 88% answered correctly. Pretty Serious - Santas Sunburn - 96% answered correctly. 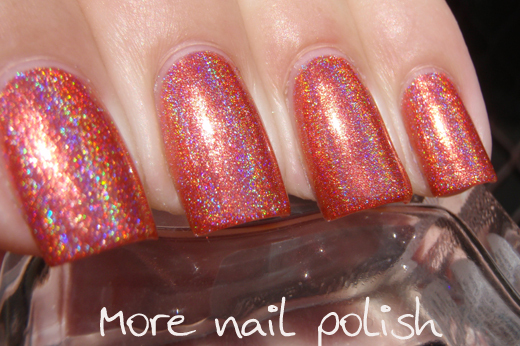 China Glaze - Let's Do It In 3D - only 28% answered correctly. This was the trickiest one for you all. Most of the incorrect guesses were for Ludurana Notavel or Layla Flash Black. 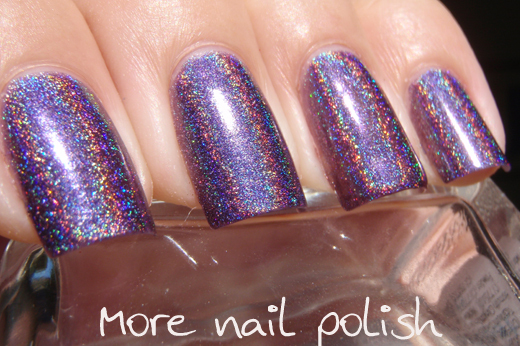 Ahhhh this is such a pretty polish and I should reswatch it, cause it was one of the very first blog posts I did covering the Kalidescope polishes. Ulta 3 - Blue Marlin - 88% answered correctly. Most other answers were Nails Inc Baker Street, but I don't own that. Orly - Space Cadet - 69% answered correctly. Another of the tricky ones. Most other guesses were for Model's Own Pinky Brown. aEngland - Ascalon - 83% answered correctly. Essence - Blue Addicted - 89% answered correctly. Ozotic/Artform - 518 - 83% answered correctly, other popular answer was Hits Ares. Layla - Cloudy Violet - 77% answered correctly. Other popular Answer was Hit Dionisio and China Glaze LOL. Nfu Oh - #51 - 84% answered correctly, other popular answer was Layla 52 The Butterfly Effect. Cult Nails - Clairvoyant - 93% answered correctly. 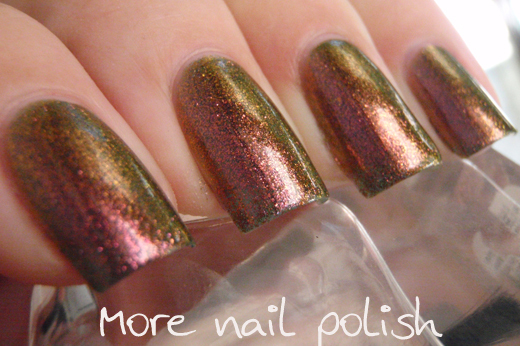 Essie - Good as Gold - 68% answered correctly. 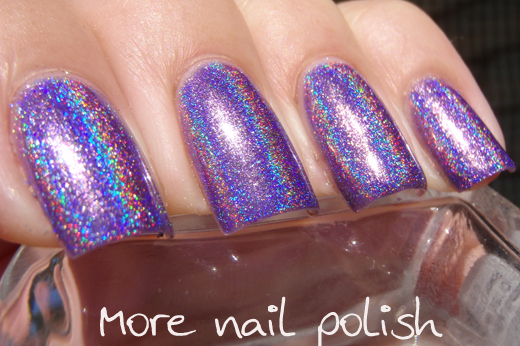 The other popular answer was China Glaze 2030. Nubar - Jewel - 88% answered correctly. Jade - Fasicinio Violeta - 95% answered correctly. Glitter Gal - Lizard Belly - 95% answered correctly. 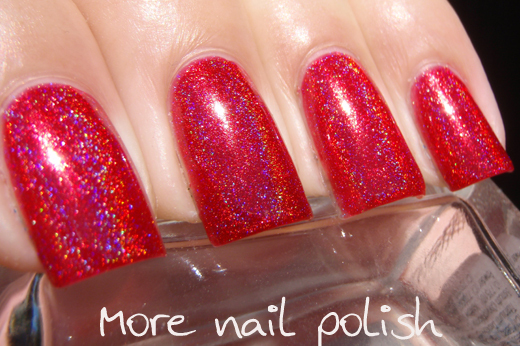 Color Club - Holiday Splendor - 79% answered correctly. 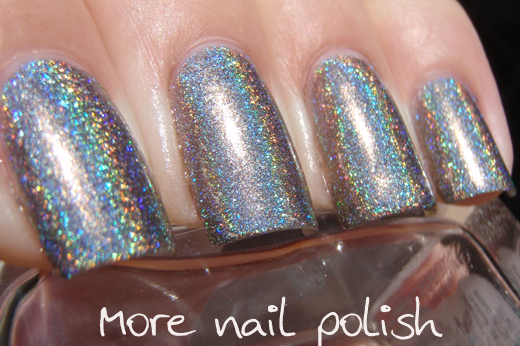 Other popular answer was China Glaze Atlantis. As per my terms and conditions "if more than four entrants have the same highest score, then four winners will be selected at random from those top scoring entrants. The prize pool will be split as I see fit to accommodate the potential number of winners." Sorry I can't give you all a prize, but you ladies certainly get bragging rights - Well Done! The below prize pool will be split between four random winners from the top nine, and a fifth random entry that scored more than 10/40 correct. 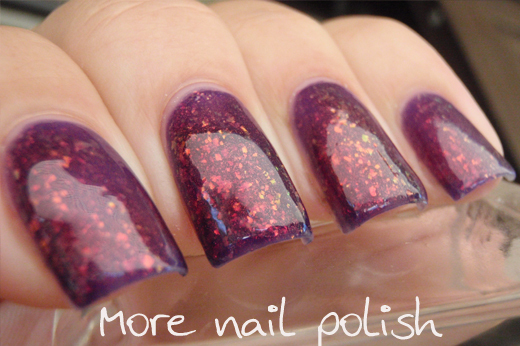 Six Contrary polish shades - Play Me, The Way I Am, Better Together, Desert Fruit, Santorini & Bright Night. 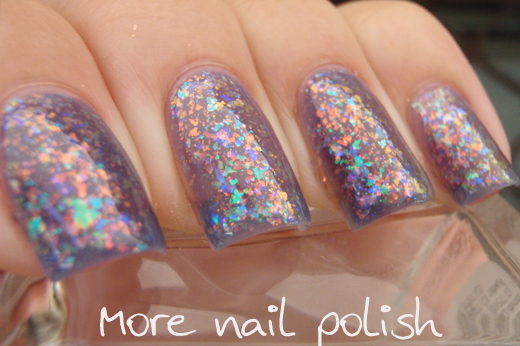 Generously provided by Contrary Polish and Llarowe. 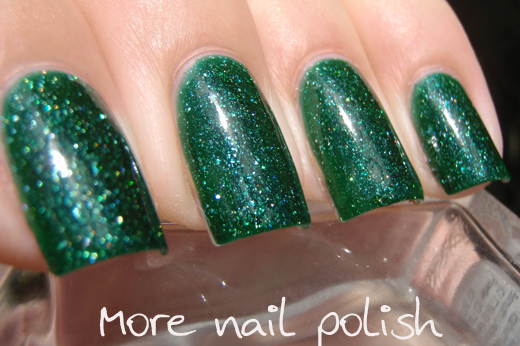 Six Picture Polish Collaboration shades - Mallard, Paradise, Focus, Atomic and Majesty - Generously provided by Picture Polish and Kryptonite provided by me. Cash prize of $50 AUD - provided by me. Six original Model Own Beetlejuice collection polishes - Emerald Black, Purple Blue,Golden Green, Pinky Brown, Aqua Violet & Base/Top coat - provided by me. 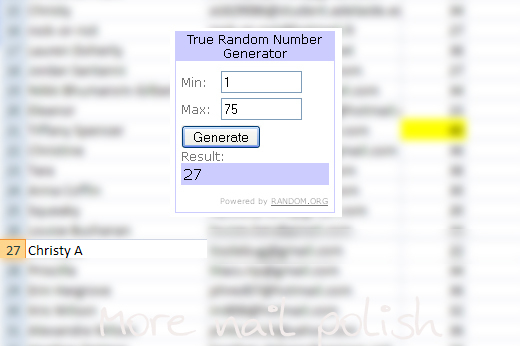 Lastly - the random overall winner drawn from all the entries that have more than 10/40 correct. Christy A - You're a winner too! Ladies, I've sent you all an email. Please respond to me within three days. And fingers crossed you're not all international or else this is gonna cost me a fortune in postage ;)!! Fantastic! 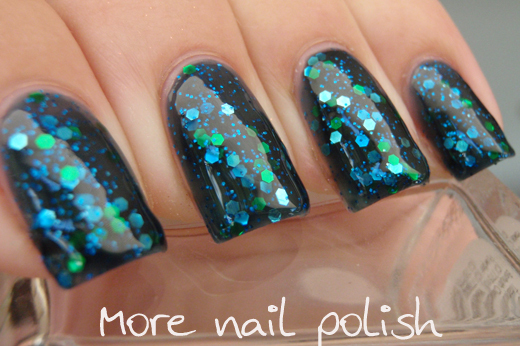 More applause for all the ladies who really knew their polishes! Well done everyone who participated in such a clever competition. I'm a little sad I didn't win, but I'm also very proud of myself that I guessed all the polishes right! This was the most fun giveaway I ever seen, really!!! Congratulations to you too for such work!!! But that's cool. I'm very excited to have gotten them all right. 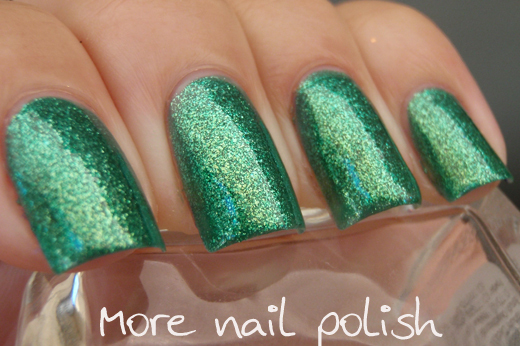 That comes from having almost 700 polishes and being a very big fan of you blog. :) Congratulations to those who did win and to the others who got all of them right! It was a very good contest! This was an awesome giveaway/quiz!! Even though I did not get around to getting all of the polishes guessed (only 13/20), I still had fun trying to get all my answers. More bloggers should do something like this. I'm also bummed that I didn't win but proud to have guessed them all right. I spent a LOT of time guessing but it was actually really fun! I hope there are more giveaways with awesome challenges like these, you gotta make us work for those prizes!! Well I'm glad I at least get bragging rights for getting them all correct even though I didn't win. I loved having a contest where I had some control or say in doing well as opposed to it being completely by chance. Hope to see another one in the future! what an awesome giveaway! sorry i missed it but awesome all the same - congrats winners! Thanks so much for this brilliant opportunity, was so much fun! Was extra excited to see Kryptonite in my parcel!! !